Is Choice Hotels International, Inc. (NYSE:CHH) an excellent stock to buy now? Money managers are taking a pessimistic view. The number of bullish hedge fund bets shrunk by 3 recently. In the 21st century investor’s toolkit, there are plenty of metrics shareholders can use to track stocks. Some of the most underrated are hedge fund and insider trading interest. At Insider Monkey, our studies have shown that, historically, those who follow the best picks of the best money managers can beat the market by a superb margin (see just how much). Just as beneficial, optimistic insider trading sentiment is another way to parse down the marketplace. Obviously, there are many incentives for an upper level exec to drop shares of his or her company, but only one, very obvious reason why they would initiate a purchase. Many academic studies have demonstrated the market-beating potential of this strategy if shareholders understand where to look (learn more here). With these “truths” under our belt, it’s important to take a gander at the latest action encompassing Choice Hotels International, Inc. (NYSE:CHH). What have hedge funds been doing with Choice Hotels International, Inc. (NYSE:CHH)? In preparation for this year, a total of 4 of the hedge funds we track held long positions in this stock, a change of -43% from the third quarter. Judging by the fact that Choice Hotels International, Inc. (NYSE:CHH) has witnessed declining sentiment from the aggregate hedge fund industry, logic holds that there was a specific group of funds who were dropping their entire stakes last quarter. It’s worth mentioning that Israel Englander’s Millennium Management dumped the biggest stake of all the hedgies we key on, totaling an estimated $0.9 million in stock.. Paul Tudor Jones’s fund, Tudor Investment Corp, also sold off its stock, about $0.5 million worth. These transactions are important to note, as aggregate hedge fund interest dropped by 3 funds last quarter. Bullish insider trading is most useful when the company we’re looking at has seen transactions within the past half-year. Over the last half-year time frame, Choice Hotels International, Inc. (NYSE:CHH) has seen zero unique insiders purchasing, and 3 insider sales (see the details of insider trades here). 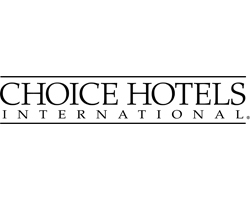 Let’s also review hedge fund and insider activity in other stocks similar to Choice Hotels International, Inc. (NYSE:CHH). These stocks are China Lodging Group, Ltd (ADR) (NASDAQ:HTHT), Orient-Express Hotels Ltd. (NYSE:OEH), Home Inns & Hotels Management Inc. (ADR) (NASDAQ:HMIN), Ctrip.com International, Ltd. (ADR) (NASDAQ:CTRP), and Ryman Hospitality Properties, Inc. (REIT) (NYSE:RHP). All of these stocks are in the lodging industry and their market caps match CHH’s market cap.